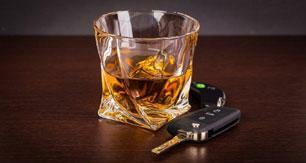 California DUI Statute Under 21 Section 23500 et.al. 23500. This chapter applies to the imposition of penalties and sanctions by the courts on persons who were less than 21 years of age at the time of the commission of the driving while under the influence offenses described in Chapter 12 (commencing with Section 23100) of Division 11. Added Sec. 84, Ch. 118, Stats. 1998. Effective January 1, 1999. Operative July 1, 1999. 23502 . (a) Notwithstanding any other provision of law, if a person who is at least 18 years of age is convicted of a first violation of Section 23140, in addition to any penalties, the court shall order the person to attend a program licensed under Section 11836 of the Health and Safety Code, subject to a fee schedule developed under paragraph (2) of subdivision (b) of Section 11837.4 of the Health and Safety Code. (b) The attendance in a licensed driving-under-the-influence program required under subdivision (a) shall be as follows:, 23152, or 23153, or of Section 23103, with a plea of guilty under Section 23103.5, or of Section 655 of the Harbors and Navigation Code, or of Section 191.5 of, or paragraph (3) of subdivision (c) of Section 192 of, the Penal Code, the person shall complete, at a minimum, the education component of that licensed driving-under-the-influence program. (2) If the person does not meet the requirements of paragraph (1), the person shall complete, at a minimum, the program described in paragraph (1) of subdivision (c) of Section 11837 of the Health and Safety Code. (c) The person's privilege to operate a motor vehicle shall be suspended by the department as required under Section 13352.6, and the court shall require the person to surrender his or her driver's license to the court in accordance with Section 13550. (d) The court shall advise the person at the time of sentencing that the driving privilege will not be restored until the person has provided the department with proof satisfactory to the department that the person has successfully completed the driving under the influence program required under this section. Repealed Sec. 3, and added Sec. 4, Ch. 1063, Stats. 2000. Effective January 1, 2001. Amended Sec. 12, Ch. 550, Stats. 2004. Effective January 1, 2005. 23509. This article shall be known and may be cited as the "Youthful Drunk Driver Visitation Program Act." (a) Young drivers often do not realize the consequences of drinking alcohol or ingesting any other drugs, whether legal or not, and driving a motor vehicle while their physical capabilities to drive safely are impaired by those substances. (b) Young drivers who use alcohol or other drugs are likely to become dependent on those substances and prompt intervention is needed to protect other persons, as well as the young driver, from death or serious injury. (c) The conviction of a young driver for driving under the influence of an alcoholic beverage, a drug, or both, identifies that person as a risk to the health and safety of others, as well as that young driver, because of the young driver's inability to control his or her conduct. (d) It has been demonstrated that close observation of the effects on others of alcohol and other drugs, both chronic and acute, by a young driver convicted of driving under the influence has a marked effect on recidivism and should therefore be encouraged by the courts, prehospital emergency medical care personnel, and other officials charged with cleaning up the carnage and wreckage caused by drunk drivers. (e) The program prescribed in this article provides guidelines for the operation of an intensive program to discourage recidivism by convicted young drunk drivers. 23512 . For the purposes of this article, "program" means the Youthful Drunk Driver Visitation Program prescribed in this article. 23514 . (a) If a person is found to be in violation of Section 23140, is convicted of, or is adjudged a ward of the juvenile court for, a violation of Section 21200.5, 23140, or 23152 punishable under Section 23536, or Section 23220, 23221, or 23222, subdivision (a) or (b) of Section 23224, or Section 23225 or 23226, and is granted probation, the court may order, with the consent of the defendant or ward, as a term and condition of probation in addition to any other term and condition required or authorized by law, that the defendant or ward participate in the program. (b) The court shall give preference for participation in the program to defendants or wards who were less than 21 years of age at the time of the offense if the facilities of the program in the jurisdiction are limited to fewer than the number of defendants or wards eligible and consenting to participate. (c) The court shall require that the defendant or ward not drink any alcoholic beverage at all before reaching the age of 21 years and not use illegal drugs. 23516 . The court shall investigate and consult with the defendant or ward, defendant's or ward's counsel, if any, and any proposed supervisor of a visitation under the program, and the court may consult with any other person whom the court finds may be of value, including, but not limited to, the defendant's or ward's parents or other family members, in order to ascertain that the defendant or ward is suitable for the program, that the visitation will be educational and meaningful to the defendant or ward, and that there are no physical, emotional, or mental reasons to believe the program would not be appropriate or would cause any injury to the defendant or ward. (A) A registered nurse trained in providing emergency trauma care or prehospital advanced life support. (B) An emergency room physician. (C) An emergency medical technician-paramedic or an emergency medical technician II. (2) A facility that cares for advanced alcoholics, such as a chemical dependency recovery hospital, as defined in Section 1250.3 of the Health and Safety Code, to observe persons in the terminal stages of alcoholism or drug abuse, under the supervision of appropriately licensed medical personnel. (3) If approved by the county coroner, the county coroner's office or the county morgue to observe appropriate victims of vehicle accidents involving drinking drivers, under the supervision of the coroner or a deputy coroner. (b) As used in this section, "appropriate victims" means victims whose condition is determined by the visitation supervisor to demonstrate the results of accidents involving drinking drivers without being excessively gruesome or traumatic to the probationer. (c) If persons trained in counseling or substance abuse are made available to the court, the court may coordinate the visitation program or the visitations at any facility designated in subdivision (a) through those persons. (d) Any visitation shall include, before any observation of victims or disabled persons by the probationer, a comprehensive counseling session with the visitation supervisor at which the supervisor shall explain and discuss the experiences which may be encountered during the visitation in order to ascertain whether the visitation is appropriate for the probationer. (e) If at any time, whether before or during a visitation, the supervisor of the probationer determines that the visitation may be or is traumatic or otherwise inappropriate for the probationer, or is uncertain whether the visitation may be traumatic or inappropriate, the visitation shall be terminated without prejudice to the probationer. 23518 . (a) The program may include a personal conference after the visitations described in Section 23517 between the sentencing judge or judicial officer or the person responsible for coordinating the program for the judicial district and the probationer, his or her counsel, and, if available, the probationer's parents to discuss the experiences of the visitation and how those experiences may impact the probationer's future conduct. (b) If a personal conference described in subdivision (a) is not practicable, because of the probationer's absence from the jurisdiction, conflicting time schedules, or other reasons, the program should provide for a written report or letter by the probationer to the court discussing the experiences and their impact on the probationer. 23518.5 . 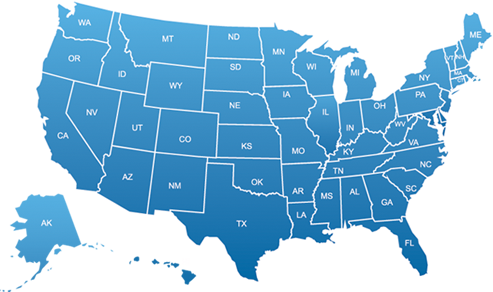 The county, a court, any facility visited pursuant to the program, the agents, employees, or independent contractors of the court, county, or facility visited pursuant to the program, and any person supervising a probationer during the visitation, is not liable for any civil damages resulting from injury to the probationer, or civil damages caused by the probationer, during, or from any activities relating to, the visitation, except for willful or grossly negligent acts intended to, or reasonably expected to result in, that injury or damage and except for workers' compensation for the probationer as prescribed by law if the probationer performs community service at the facility as an additional term or condition of probation. 23520. (a) Whenever, in any county specified in subdivision (b), a judge of a juvenile court, a juvenile hearing officer, or referee of a juvenile court finds that a person has committed a first violation of Section 23152 or 23153, the person shall be required to participate in and successfully complete an alcohol or drug education program, or both of those programs, as designated by the court. The expense of the person's attendance in the program shall be paid by the person's parents or guardian so long as the person is under the age of 18 years, and shall be paid by the person thereafter. However, in approving the program, each county shall require the program to provide for the payment of the fee for the program in installments by any person who cannot afford to pay the full fee at the commencement of the program and shall require the program to provide for the waiver of the fee for any person who is indigent, as determined by criteria for indigency established by the board of supervisors. Whenever it can be done without substantial additional cost, each county shall require that the program be provided for juveniles at a separate location from, or at a different time of day than, alcohol and drug education programs for adults. (b) This section applies only in those counties that have one or more alcohol or drug education programs certified by the county alcohol program administrator and approved by the board of supervisors. Amended Sec. 85, Ch. 149, Stats. 2003. Effective January 1, 2004. 23521. (a) Any finding of a juvenile court judge, juvenile hearing officer, or referee of a juvenile court of a commission of an offense in any state, territory, possession of the United States, the District of Columbia, the Commonwealth of Puerto Rico, or the Dominion of Canada that, if committed in this state, would be a violation of Section 23152, is a conviction of a violation of Section 23152 for the purposes of Sections 13352, 13352.3, 13352.4, and 13352.5, and the finding of a juvenile court judge, juvenile hearing officer, or referee of a juvenile court of a commission of an offense that, if committed in this state, would be a violation of Section 23153 is a conviction of a violation of Section 23153 for the purposes of Sections 13352 and 13352.3. Amended Sec. 18, Ch. 545, Stats. 2002. Effective January 1, 2003. Amended Sec. 86, Ch. 149, Stats. 2003. Effective January 1, 2004. Amended Sec. 14, Ch. 551, Stats. 2004. Effective January 1, 2005. Operative September 20, 2005.